You'll see lots of people have written advice on how to start homeschooling, but I'm pretty sure you won't find a guide like mine. 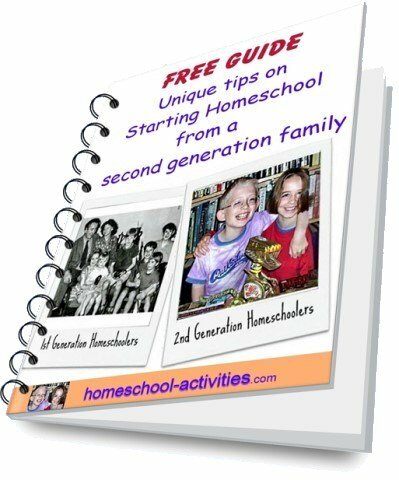 I can give you unique tips that can only come from being a second generation homeschooling family. I know that starting homeschooling can seem like you're making a leap in the dark. So you'll be delighted to know that homeschooling pioneers like my parents made that same leap years ago - and it turned out fine! Give you living proof that your kids will thrive without school. Show you that problems which may hold you back today - like the socialization question - simply didn't exist back when I was being homeschooled. Prove that the stress we place on our children through testing and exams is nothing new. My Dad knew that more than most, because he suffered himself so badly from having to jump through the endless hoops to reach Oxford University. His warnings of the dangers of too much pressure are even more valid nowadays and will encourage you to realize that you do not need to put your child through all this. My free guide has unique tips that can only come from having been taught at home myself. Find out revealing things about homeschooling. A very common worry if you're starting homeschool is how you'll fit everything in. So it's very comforting to find out that my Dad did basically nothing when he was teaching his two sons - and they still turned out fine! You'll find tips like how to organize your schedule in my Guide. You'll also find out that many of the problems you'll face when you're thinking how to start homeschooling are the same as my parents faced. I've no doubt dealing with the relatives is as hard now as it was then! Find out that my Mom, who taught me, says there's a whole lot of stuff she wishes she hadn't done. That's food for thought if you're thinking of starting homeschool! 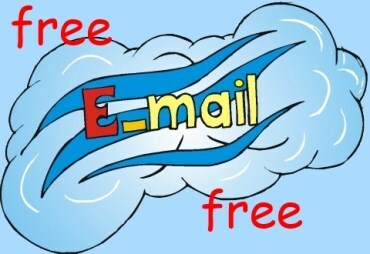 When you sign up below, I'll send you my free Guide to How to Start Homeschooling. You'll find this page on my site, but the other 7 installments are exclusive to My Guide and you'll need to sign up to see them! If you like this page, please SHARE it. 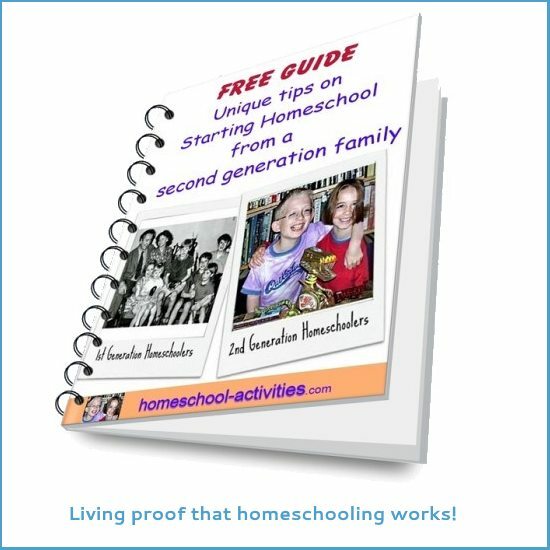 My free guide to how to start homeschooling will give you the proof you need that teaching your child at home is the best decision for ever made.